Most people start to see the first signs of facial aging during their late thirties or early forties. Even though wrinkles, fine lines, and sagging skin are a rite of passage for virtually all who enter middle age, you don’t have to let your skin make you look older than you feel. Board-certified dermatologist Roy Stern Seidenberg, MD in Manhattan, New York City, offers a wide range of dermal fillers, including Juvéderm® cosmetic injectable, to patients who want to look and feel their best. Call or book your appointment online today. As you reach middle age, you’ll probably begin to notice that your facial skin seems a little less even, a little less supple, and a little bit more lined. To make matters worse, your facial muscles — the ones that you use to talk, chew, smile, frown, and squint all day long — also begin to decline after years of use. This so-called facial deflation typically begins at about the age of 30, and continues as time goes on. It’s what’s to blame for the flattened cheeks, thinning temples, and narrowing lips that commonly affect middle-aged adults. Dermal fillers are minimally invasive, injectable cosmetic products made with collagen, hyaluronic acid, and other beneficial substances. These products, which come in a range of formulations, help rejuvenate facial skin and add facial volume. Each dermal filler is designed to address a specific aspect of facial change brought on by aging. What are the benefits of Juvéderm fillers? Juvéderm dermal fillers are a simple, safe, and effective way to temporarily reverse age-related facial deflation and smooth wrinkles and furrows without having to resort to surgery. This leading collection of hyaluronic acid fillers can be used to help reduce the appearance of lines around your eyes, brow, or mouth, change the contour of your jawline, subtly flesh out your cheeks, or even enhance your lips. Juvéderm fillers can also help diminish the appearance of minor scars and depressions, including those caused by acne. Because they deliver immediate results, carry few risks or side effects, and require little to no recovery time, Juvéderm cosmetic injections are one of the most commonly requested aesthetic treatments. After your initial consultation, Dr. Seidenberg will develop a customized treatment plan that includes selecting the Juvéderm products that best meet your cosmetic goals. Prior to your session, he’ll give you thorough pre-procedure instructions detailing the things you should avoid before your appointment, including aspirin, ibuprofen, and smoking. For optimal results, it’s also important to stay well-hydrated both before and after the treatment. 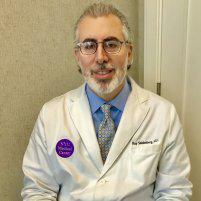 Dr. Seidenberg administers cosmetic fillers with a few tiny facial injections, which are generally considered painless. The average session lasts just 10-20 minutes, with immediate results that can last a year or longer, depending on the product.